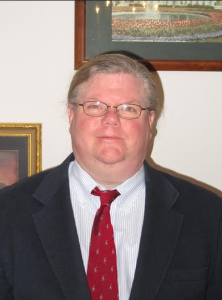 Billy J. Seabolt holds an AA and BA from Hillsdale College (OK) in Biblical Studies and Pastoral Ministries, a MA in Government from Robertson School of Government (VA), and a JD in Law from Regent Law School (VA). He also has a MBA in progress from Regis University (CO). He has practiced law since 1998 and has his own law firm. Born and raised in Tulsa, Oklahoma, Billy has three children with his wonderful wife, Claire who was born in the land down under, Australia. . He also performs Colonial Times Interpretations (1774-1780, i.e. the Founding Fathers). Billy J. Seabolt is a well respected, established and experienced attorney-at-law limiting his practice to Wills, Trusts and Estates and Elder Law. Give Billy a call today to see how he can meet your individual needs as client that deserves the utmost in personal attention. Law Offices of Billy J. Seabolt, Esq. Note: The information given on this website does not constitute legal or accounting advice or opinion, and should not be relied upon for any planning purposes. it is provided solely and exclusively for general, non-specific educational purposes and to advise the reader of the nature of the services offered individually by my law firm. Planning of this nature is necessarily very circumstance-specific and therefore it would be dangerous to apply the very general rules described herein to any singular fact-pattern. Prudence demands that you consult with an experienced professional licensed in Virginia before attempting any of the planning techniques described herein. Additionally, the information given is not meant to be a substitute for legal representation. It provides general legal information to help people understand their legal rights but is not a substitute for personal legal advice from an attorney. however, laws change and individual circumstances vary. – Billy J. Seabolt, Esq.